Lots of Lorraine’s recipes in this book are comfort food for those autumn evenings or winter nights, but Satay chilli chicken is a recipe crying out for a picnic. So it’s a good thing that summer seems to be upon us. We don’t eat starters often in the cookingfanatic household (can’t think why), but this is in fact ideal lunch food. The chicken is simply fried on wooden kebab sticks in a large frying pan (soak the sticks in cold water beforehand). 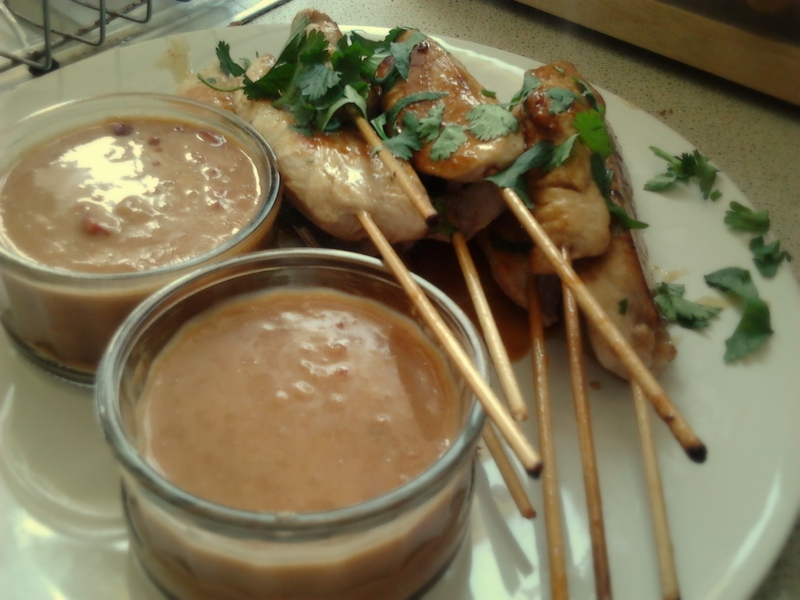 While the chicken is cooking, you have enough time to assemble the satay dipping sauce and blitz in the blender. I just used cheap Tesco value peanut butter, and it tasted absolutely fine. I added a bit more lime juice though, because I wanted it a bit sharper. You then toss the chicken in some honey, scatter with coriander and serve with the dip. Mr cookingfanatic loved the dip, and started spreading it on his bread like jam. It was very simple and quick. It was also perfect weather for Pimm’s. 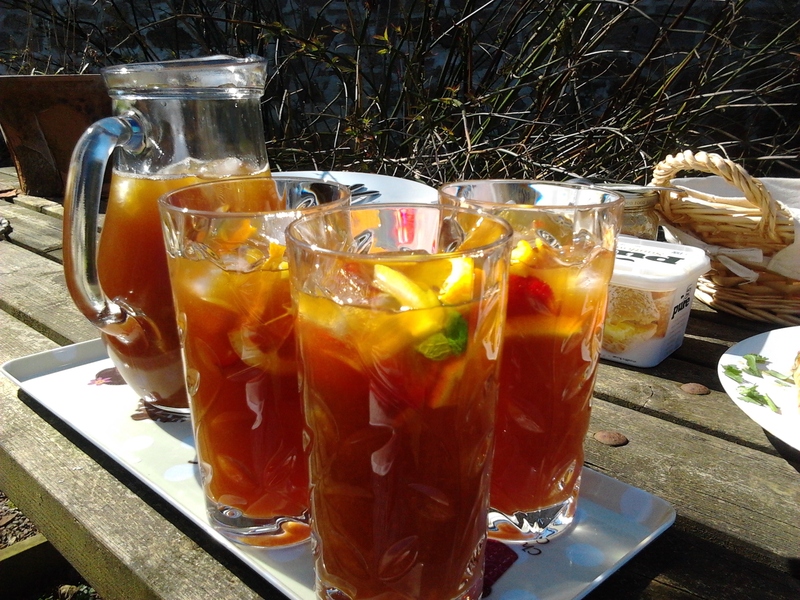 I thought I’d try something a bit different with this Pimm’s Iced Tea from the bbcgoodfood website. It was a real hit! The tea perfectly counteracted the sweetness of the Pimm’s, and it was very refreshing. Previous PostPrevious Why is a walnut like a welshman?